When I first came to Tarime I was slightly surprised that Tanzanian civil engineers would dig such shallow drainage ditches for their roads. We came right at the end of rainy season, so it was still raining almost daily for the first little bit of our time here and water was constantly in the streets because the drainage ditches they had dug were just too shallow. A few weeks after rainy season I noticed some people digging deeper drainage ditches and I was glad that they were going to fix this mistake. When they finished digging the drainage ditches I realized that I had been wrong. 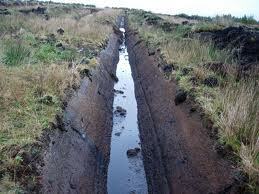 They had not built shallow drainage ditches and the people had not been digging deeper ditches. They were shoveling out all of the mud, dirt, trash, and other things that had found their way into the ditches during the rainy season. They had nice deep, stone lined drainage ditches that had been filled with all kinds of things throughout the rainy season, until they could no longer do their job of moving water along, but instead were filling the streets with water. In many ways I feel like this is how my life has been lately. I hate to admit it, but there are times when I feel so full of dissatisfaction, when I feel like I am spending too much time hanging on to things that other people have done to me, that I am always looking for a greener pasture and calling it progress. My life can become so filled up with things not of God that I cannot receive His grace and channel it to the people he has directed me to serve. Lent is a good time to stop that kind of behavior. One of the traditions that we pull from for the period of Lent is the Jewish tradition of mourning and repentance. Ash Wednesday comes from the practice of sitting on ashes as a sign of mourning or of repentance (mourning a sin done against God). In the book of Joel the prophet calls for a community fasting, asking for even still nursing babies to come. He does this because Israel had fallen away from God. They had filled their lives with so many things not of God that they needed to be called to repent, to mourn, and to enter again into relationship with God. They needed to clean out the “other” in their life and return to the one who matters. I am experiencing a call right now to clean these things out of my life and return to the call that God has given me and even more importantly return to the one who called me. Because when our pathways to God are filled up with anger, regret, jealousy, busyness…you name it, we cannot receive from God what we need, and we certainly don’t have anything of worth to pass on to others. We are just spewing out whatever is already inside of us. I would like to challenge you to use this Lenten season to dig. Take whatever is clogging up your relationship with God whether it is your own feelings or your lack of time with God, and dig it out during this Lenten season. Get it out of your life and replace it with God, His teachings, and His work in your life. This morning during the Catholic mass I attended for Ash Wednesday they focused on two aspects, acts of repentance and acts of charity. We have this Lenten season to attend to both acts of repentance for the things that have filled up our lives instead of God. We also have a chance for acts of charity so that as we empty our lives of the things not of God, we can fill them up with the things that are of God. My plan is to give up (turn away from) the grudges that are holding me back from the love of Christ God has given me for other people. I am also hoping to put aside my work more often and focus on the people around me. These two things, an act of repentance and an act of charity, that I hope will clean out my spirit and prepare me for the glorious celebration of God’s salvation entering the world. That these 40 days can be used to renew my relationship with God since nothing else can better help us live the abundant life that is salvation.